My Amish friends are predicting a really cold winter based on the fuzz on caterpillars, the shells on acorns, the movement of squirrels, the size of pinecones and the bird migrations. Who knows if any of these predictions are accurate, but I’m actually excited at the prospect of a cold winter this year and hopefully even some snow (as all of you from north of us roll your eyes at this southern girl!). With the onset of cold weather, the common cold, flu, and general sniffles can become a regular occurrence. 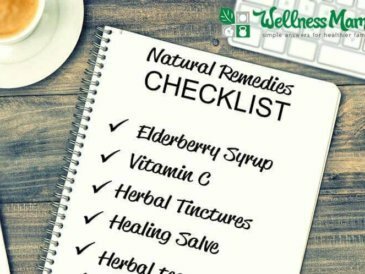 That’s why I like to stay prepared with a few natural remedies for winter. 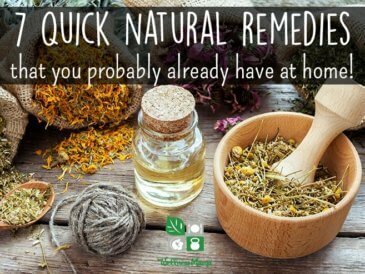 My Amish friends are also stocking up on remedies (natural and conventional) in preparation for winter. Travel gets more difficult for them in the snow and ice and they are trying to be prepared ahead of time. In the past, I’ve found that they tend to be right about their predictions most of the time, so I’m working on stocking up too! I’ve written before about how much I love Elderberry Syrup for warding off cold and flu (or speeding recovery if we get it). 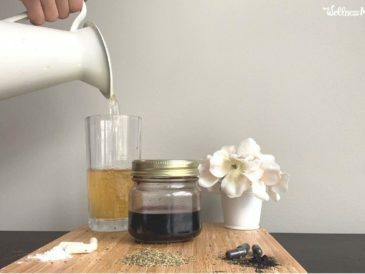 My recipe combines dried elderberries, raw honey and herbs for a potent and effective natural syrup. It is simple to make and much less expensive than store bought versions with similar ingredients. Here’s my printable Elderberry Syrup Recipe. If cough or cold strikes, I like to have homemade vapor rub on hand. 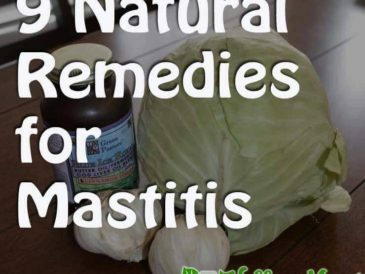 I use it on the bottoms of feet and on the back and chest to calm coughing and congestion. Always ask a doctor before using anything herbal on children. Here is my natural vapor-rub recipe. We take fermented cod liver oil daily in the winter for the fat soluble vitamins and Omega-3s. I’ve found that it is especially important during months when I’m not getting Vitamin D from the sun, and from tracking my blood levels of Vitamin D, I absorb the fat soluble vitamins in a whole food supplement like cod liver oil much more easily than isolated capsules of D3. This is the Fermented Cod Liver Oil I take daily during the winter. Another thing I keep pre-made in the fridge is my homemade cough syrup. It combines raw honey with lemon juice and herbs to help sooth cough or tickling throat easily. I’ve found that the honey/cinnamon combination also helps speed up recovery from many illnesses, even if there isn’t a cough. Here’s how to make homemade cough syrup. I’ve written about the benefits of broth and talked about it on my podcast, but broth is a superfood we always have on hand in the winter. I typically make my own broth and always have some cooking and in the fridge, but you can also buy pre-made broth to save time. During winter months, I keep raw garlic on hand to speed recovery from illness (and for us in soups and stir frys). I typically mince one clove or raw garlic and drink with water when I feel an illness coming on. I also take probiotics preventatively and extra in case of illness. 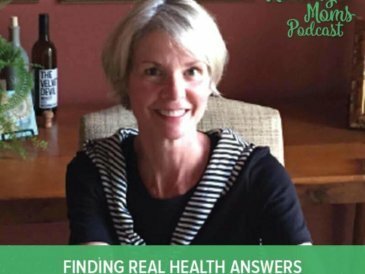 Hippocrates famously said that all illness begins in the gut, and in winter months, the gut needs some extra TLC. I take these probiotics daily to keep my gut happy and take a few extra in case of illness. 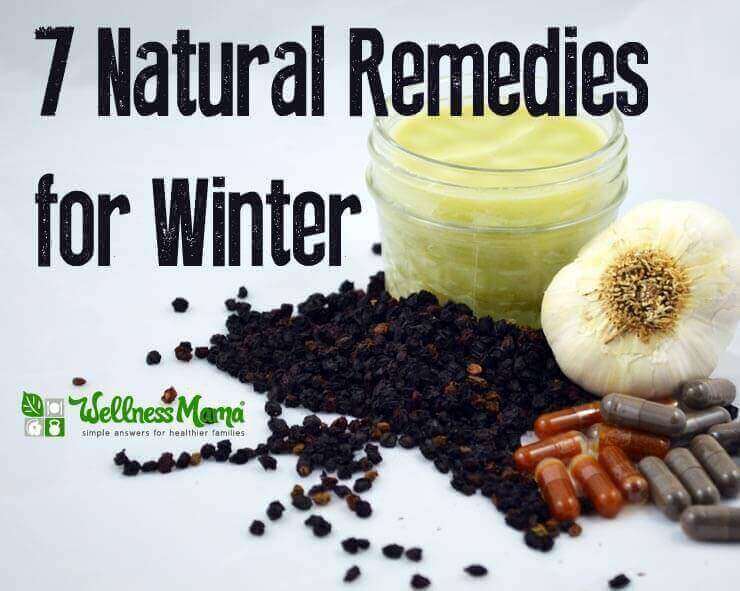 What natural remedies do you keep on hand in the winter?